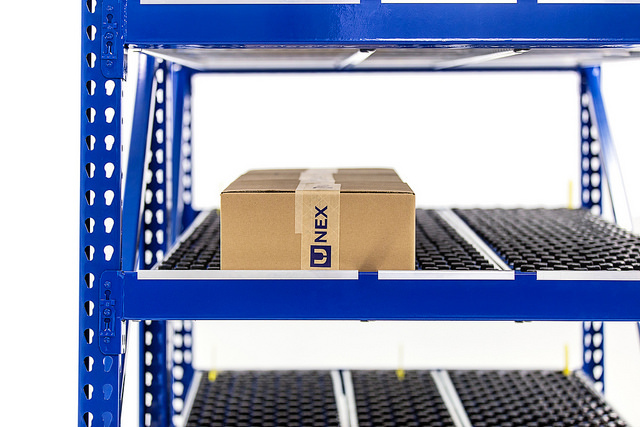 UNEX engineers have designed these Roller Racks with two key goals in mind. First and foremost, these structures are built to meet your specific operational needs. Every warehouse will require slightly different solutions. With the all-new UNEX roller rack, you’ll finally be able to optimize the flow of your warehouse. 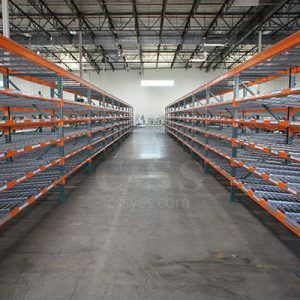 Our carefully designed track structures and carton flow racks are pre-engineered for your convenience. UNEX engineers have designed these flow systems to help increase safety, productivity, and efficiency on your pick line. 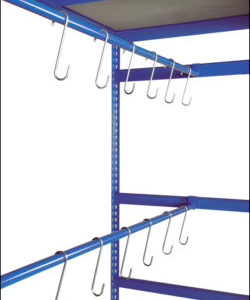 These Roller Rack systems are pre-configured and available at your convenience. Here’s a list of some of their benefits. Increase picking efficiency – The available UNEX knuckle track can improve sight and access lines while also reducing the strain on workers. 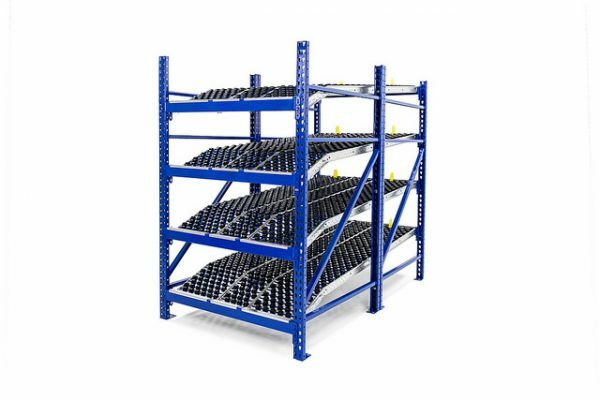 Increase space and picking rates – Roller racks have been proven to enhance picking rates and increase warehouse space for more stock keeping units. Simplify FIFO rotation – These flow management systems make it easy to replenish products from the rear without causing an interruption to front picking for orders. Decrease travel time – SKU storage provides you with denser packing solutions than a pallet rack. This can save pickers a significant amount of travel time. 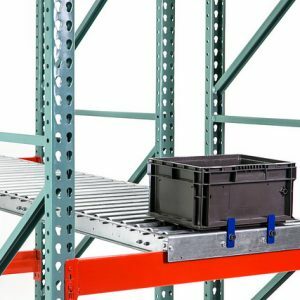 UNEX engineers have designed these Roller Racks with two key goals in mind. First and foremost, these structures are built to meet your specific operational needs. Every warehouse will require slightly different solutions. 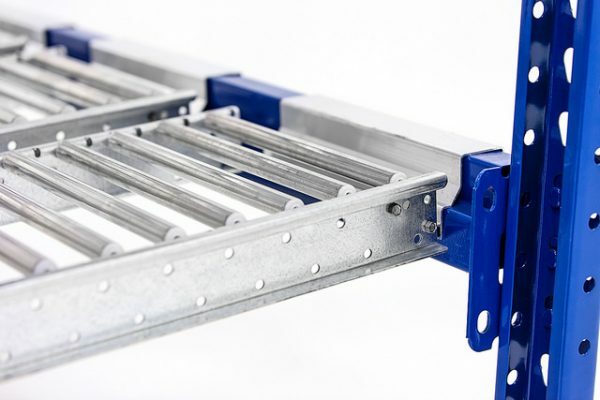 The Roller Rack structures are versatile enough to meet these varying needs. UNEX has also designed these structures for easy assembly. You’ll have no trouble incorporating a Roller Rack into your existing system. 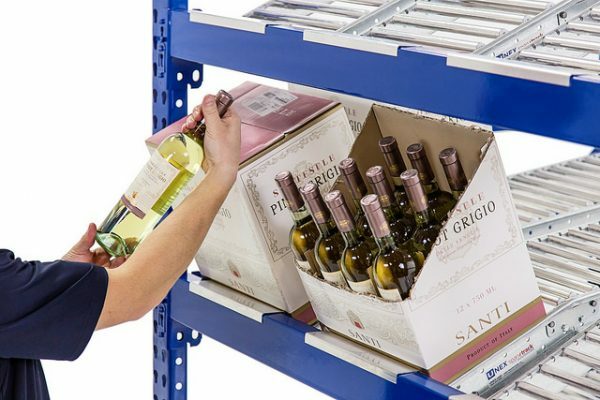 These gravity racks are ideal for manufacturing, distribution, and any operations that require carton flow without a need to store pallets on top of the rack.